Electronic music band Le Galaxie are based in Dublin, Ireland. Their debut album Laserdisc Nights II was released in 2011. They established themselves as Ireland’s #1 live dance act with their brand of thundering electro, bursting to life with shimmering cyber-synths, pounding techno rhythms and guitar wizardry. This tour is part of there third studio album out now called “Pleasure”. 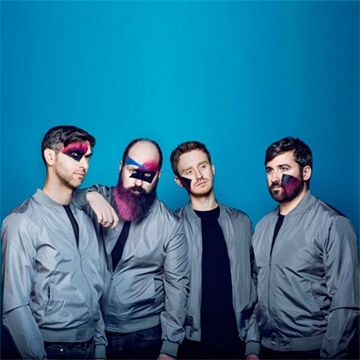 Le Galaxie have spent the past seven years claiming their title as Ireland’s best live act, honing their craft across clubs and venues, bars and fields, tents and countries, cities and towns, parties and raves. And in doing so, the band has had a multiplier effect, going from a cult following to a force.